Thanks to my handy digital recorder, I was able to “recall” conversations today between Tammy and I that might have otherwise been forgotten. Tammy: I see those ads where you can take a picture and it pulls stuff up, but I don’t have one of those Smartphones and prolly won’t for at least a year. By the time I get one, who knows what’s gonna come out and I’m not gonna how to do it or anything. Tammy: That’ll be about the only thing I know how to do. Tammy: You could tell your Mom (who owns a grocery store in Tupelo) that it’s right by our house so Tammy could come and visit me. Me: You wouldn’t do that. Tammy: That’s not the point. The point is it’s a possibility. Tammy: People are prolly thinking when they see us walking that, “Awww, they don’t have a car.” That’s what I think when I see people walking. Me: That’s why I put this (workout shorts and a Nike RUN shirt) on so it’s not just “normal” clothes. I got workout clothes. It tricks people. Tammy might fall in break her hip in one of these. Me: I do like these. I’d get one of these. Tammy: Kathy has one of these cars and I don’t like them. First of all, they are horrible in the snow. Horrible. Me: No, that’d be like when I’m 68 and we’re living somewhere down South. It’d be a nice car for us to get out of when we are old. Tammy: I’d prefer just a regular Cadillac if that’s the case. Me: Oh, I see how it is. Tammy: Not a FAKE Cadillac. A real Cadillac. They’re not to low to the ground, they are sleek, not to high so that I’d fall and break my hip getting out of it. Me: (laughing) That’d be funny. 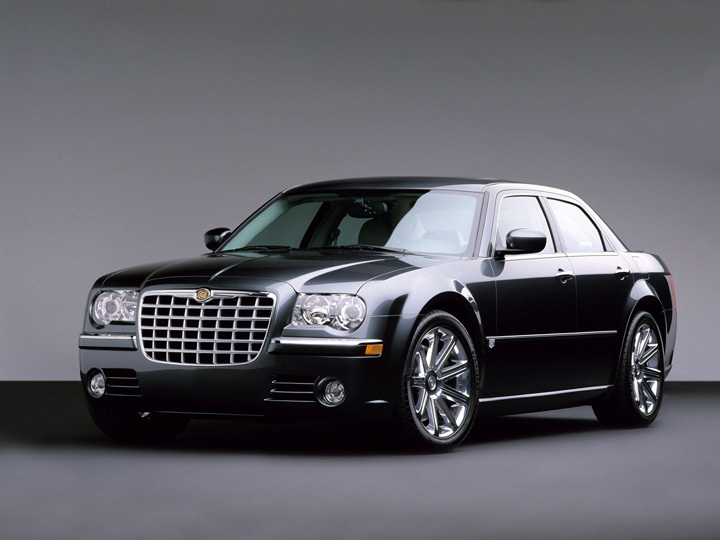 Me: (pretending to be Tammy) I told you I needed a real Cadillac. Tammy: Why do you always act like you are better than me? Tammy: When I was in fourth grade, I used to walk along a very small ledge that was prolly this high, that went around like this. Tammy: It was a ledge like this. It was up against a fence like this and K-Mart and stuff was down there, when I was in Hoffman Estates (Illinois). I used to walk along it all the time with my friends. Me: (pause, waiting for more) That’s it? You didn’t fall or anything? Me: I was expecting you to say somebody jumped out and scared you or something. Tammy: No, but if I had fallen I would have broken something for sure. Tammy: That’s when I realized, at such a young age, that my dream in life was to be a K-Mart cashier. That’s what I always wanted to do. Me: So your dream was to be a K-Mart cashier? Well, you became a cashier (at Dominick’s grocery store) just not a K-Mart cashier. There’s still time in life though to make that happen. Tammy: Do you have easy cashiers have it these days? Tammy: When I was a cashier, they didn’t have scales like this, down here. They had the scales UP, above the cash register thing. You had to put things up on the scale, up on the thing. Tammy: Hey Jason, I love you. Tammy: I said I loveD you, past tense. Me: I didn’t know if you got the right one because the container looks the similar. Tammy: I’m not like you, Jason. I know what I’m doing. Tammy: One thing I’m gonna do when I win the lottery is buy my own beach house. Me: Your own, as in I’m not allowed there? Tammy: That’s why I said when I win the lottery. Me: I could move the couch down and move your recliner so it’s next to my spot. Tammy: Do I really need to be that close to you? Me: Sometimes I like it when you are. Me: What other funny things did you say today? Tammy: I don’t know Jason. Why is it up to me to remember how funny I am? That should be something you should never forget. Tammy: Who is that kid on the video? Me: It’s you and it’s not a video. Tammy: I’m not purposely gonna be funny so you can write sh!t in your blog. Me: It’s taking everything I can to have a conversation with you. Me: Yes it is. We have plenty of conversations. Me: Of course we do. Tammy: We just talked about the square footage of Crystal Lake. That’s not a good conversation, that’s just a (pause) conversation. Me: Well, what makes a good conversation? Tammy: Stuff. And don’t be turning your thing (recorder) on and hiding it from me. Me: Like what’s good stuff? Tammy: You are to, you jerk! Tammy: You did (turn it on). I can tell by the way you are. She was right, I did have it on and she hasn’t spoken to me since we got home. Gallery | This entry was posted in Daily Life and tagged daily life, humor, postaweek2012, Tammy. Bookmark the permalink. It’s good Tammy doesn’t live in San Antonio. 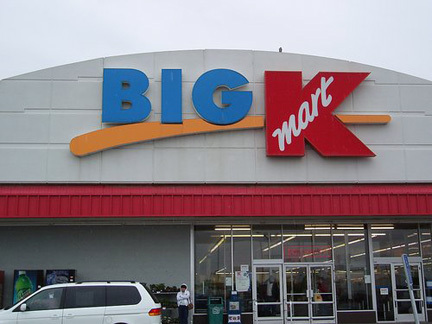 We don’t even have K-mart anymore. Her dreams would be dashed. Tammy is probably thinking of an awesome why to get revenge for recording the convos. When you least expect it, she’ll strike. That’s what I do when the Hubby picks on me. Haha… She prolly will and if she does you’ll definitely read about it here. Funny stuff, J-Wo! I love your conversations, “good” or otherwise. The recorder was a brilliant move. Will we be seeing Savannah today? You are a sneak! You’re going to get in big trouble! I hope she gets you back too. I secretly think she loves it because she likes people thinking she’s funny. She is, but I can’t let her know that or she will get a big head.